Extremely stylish and simplistic, I got the Black/Yellow version from Micro Center which features re-usable PCI-E backplates. That model is not listed on this website's part list for some reason, however the case made wiring a breeze, and there was not even a second where I didn't know where I should be wiring my cables through. This is my first build, and thanks to this case, wiring could not have been any easier. Sleek. Beautiful. Spacious looking. Minimalistic. Great fans. Unreal cable management. Horrendous drive bays. No 5.25" bays. Okay expansion slots. easy case for a firsts timer! Looks great as well! Love the color, kind of tight with full size ATX but looks good in the end. 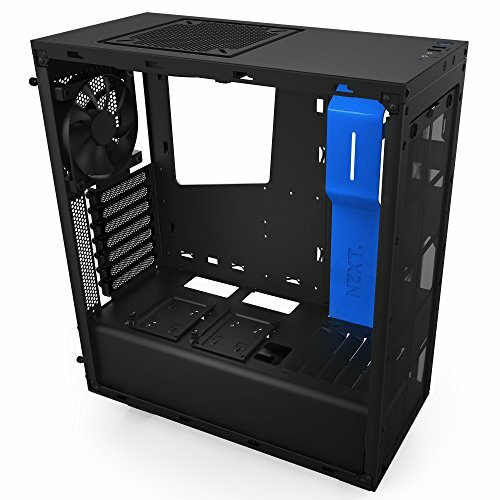 This is where I had a bit of a dilemma, as I wanted an all black case, but didn't like the glossy of the S340. 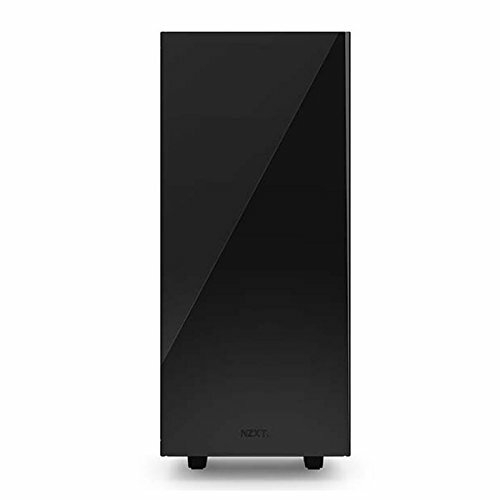 NZXT do a Razer edition S340 which is all matte black, but has Razer logos on it. I didn't want Razer logos on my case so I got the blue version of the S340 which is matte, and plasti-dipped the blue parts. This ended up with a really sleek look which I am very pleased with. 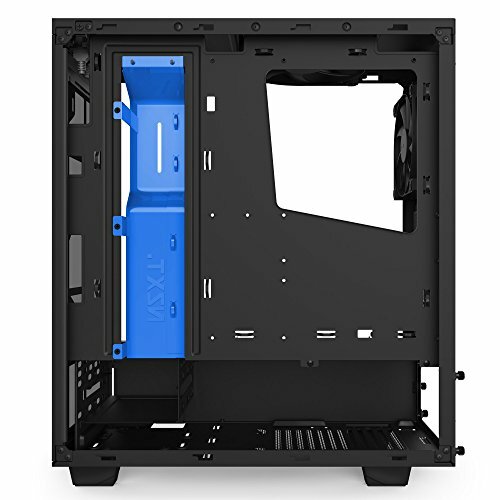 Perfect colors, flat black powder coating and shiny blue accents makes this case the PERFECT fit for my build theme. 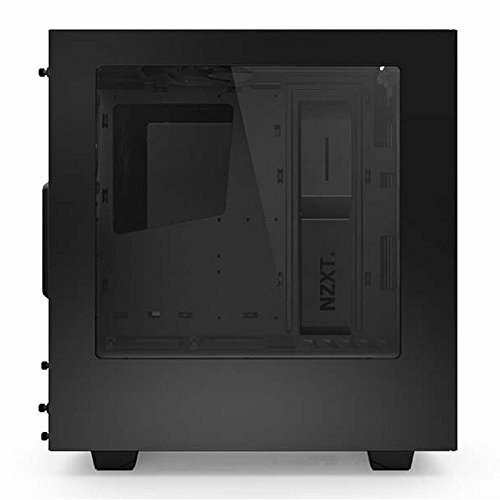 +PRO+ Great aesthetics and design, NZXT knocked it out of the park with this budget oriented case. 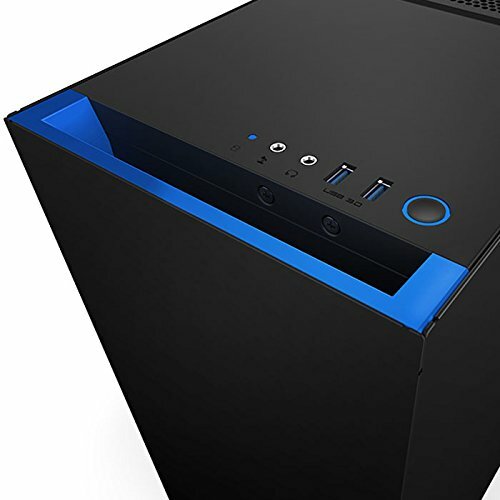 The blue shroud inside makes a great area to tuck extra cables as well as the basement below the mainboard. Plenty of loopholes in the back to tie cables down, which makes closing the case up a piece of cake. With some white LED strips and fan LED's, this case glows beautifully and makes me smile every time I power it up. -CON- The window is a cheap acrylic and scratches fairly easily...Be careful! ~OTHER~ This may just be my case in general but the thumbscrews are a pain to undo sometimes and often feel like they're free from the thread but end up needing a little more before they let go.